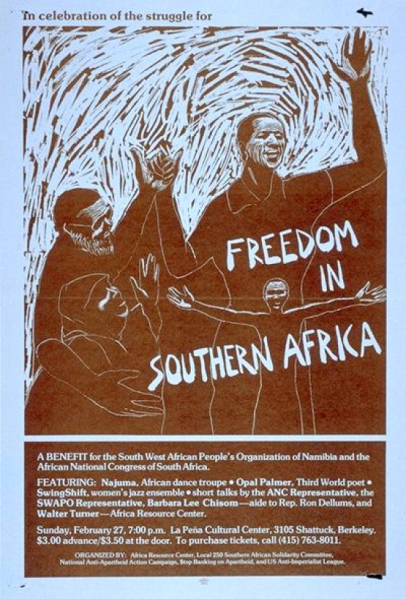 This poster was printed by Inkworks Press, Berkeley, California. More solidarity posters in this collection can be viewed at Inkworks Press poster archive. Size: 41x28 inches. Used by permission of Inkworks Press and Lincoln Cushing.